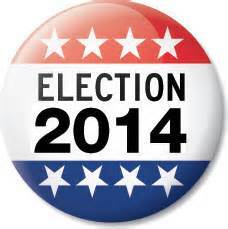 September 9th is primary day in Delaware, and the voters will have a chance to decide if experience should matter. 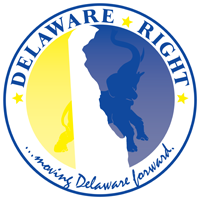 I am talking about the GOP primary between Ken Simpler and Sher Valenzuela for the office of the Treasurer for the state of Delaware. By now most know the story of how Mrs. Valenzuela parachuted into this race at the eleventh hour before the registering deadline. Mr. Simpler had been campaigning for months prior to her unannounced entrance. Most will also know that Mr. Simpler was seen as having a very good chance of winning this race in the general election due to the incumbent’s ongoing, and growing problems within the office of the Treasurer. Mrs. Valenzuela is the former candidate for Lt. Governor, a race in which she received 37% of the vote. Her stated reason for entering the race at such a late stage was that she had been waiting for, “a real conservative”, to enter the race, and when none did, she felt she must. So it would seem as though Mrs. Valenzuela is pulling from the old playbook of 2010. She is trying to sell the idea that she is the most conservative candidate in the race. However, when Mrs. Valenzuela made an appearance at the Sussex County monthly meeting of the GOP, she received a less than favorable reception, and this, in a room I am sure she expected to be carried around the room on their shoulders. Mrs. Valenzuela’s campaign seems to be full of catch phrases and rhetoric, and little else. Oh she will tell you about how she and her husband started their upholstering business in their garage with a single sewing machine. However she tends to leave out the part of how they financed it with government grants, guess that doesn’t sound very conservative. She likes to call the grants, “state resources”, I have to tell you, that doesn’t sound very conservative to me either. Mrs. Valenzuela has launched what is a negative campaign on the one hand, and an empty campaign on the other. Let me start with the latter. Her campaign slogan has been, “more jobs, less government”. And that is about where it ends, because she is unable to articulate just how she would create more jobs, or reduce the size of government from the office of the Treasurer. Though in her mailers she also says she will limit taxes and government spending, seems to me that is the job of a legislator. She also states that she will cut regulations and encourage the entrepreneurial spirit, again, sounds more like a job for the legislature or governor. It would seem as though Mrs. Valenzuela has no idea of what the office of the Treasurer is charged with doing within our system of government. Maybe it just looks like a good stepping stone back towards the governor’s office. I will give Mrs. Valenzuela her due, she and her husband have been able to build a successful business that employs seventy people, in large part based on government contracts. Just look at the list of awards she has been presented, “Defense Supply Center Gold Medalist for Quality and On-Time Delivery, Department of Defense Supplier of Choice, Diamond Award Winner for Successful Government Contracting, “Best Company to Work For” (Delaware Today), Lockheed Martin Minority Supplier of the Year, and Defense Logistics Agency Supplier of Excellence (U.S. Department of Defense.” Seems as though the government and its suppliers love her. However, I am not sure that running an upholstering business on the backs of tax payers is the skill set, and experience that is best suited for the office of the Treasurer. An office that is charged with overseeing and working with other branches of government to make investment decisions involving billions of dollars. This may explain her confusion of what her powers and authorities would be if elected. In searching her own campaign website I was unable to find any educational qualification for a job involving investments, and no other job experience. Which brings us to Mr. Simpler. I should point out that when Mr. Simpler announced his candidacy, he was looking at running against the current Treasurer Chip Flowers, since that time we have seen the addition of not only Mrs. Valenzuela in a GOP primary, but also the addition of Sean Barney in a Democrat primary, but wait! The latest bombshell is that Mr. Flowers has withdrawn from the race due to allegations of harassment from a former employee. So where once Mr. Simpler was the most qualified person in the race to be Treasurer, he is now the only qualified person in the race, since Mrs. Valenzuela has neither the education for the job, nor the experience, and Mr. Barney is a career political operative, serving both Governor Markell, and Senator Carper. On the other hand, Ken Simpler has spent both his collegiate, and adult life learning about, and working in the investment world. Mr. Simpler is a Princeton graduate, and holds an MBA and JD from the University of Chicago. He has managed the day, to-day workings of a multi-billion dollar portfolio that consistently out performed the industry. He also oversaw and supervised five financial offices located on three continents, in twenty times zones. Unlike Mrs. Valenzuela, Mr. Simpler was born and raise in Delaware, and is now the CFO of Seaboard Hotels, his family owned business. He is also a member of the finance committee for Beebe Healthcare, and a member of the board for WBOC. As you can see, Mr. Simpler has demonstrated a life long passion for finances. Unlike Mrs. Valenzuela, Mr. Simpler got into this race to be Treasurer because he feels qualified for the office, that he can bring his experience and skills to an office for which they are uniquely suited. Mrs. Valenzuela has no experience in investing billions of dollars, Mr. Simpler does. Mrs. Valenzuela has no educational background suited for the investing of billions of dollars, Mr. Simpler does. It would seem as though, while Mr. Simpler has both the educational background and the practical experience in investing billions of dollars, all Mrs. Valenzuela has to bring to the office is campaign slogans, ones that I might add, don’t even relate to the office for which she is running. It has been reported in the Wilmington News Journal, it seems as though Mrs. Valenzuela’s campaign finance report was missing some important information, such as payments for mailers sent out that were not reflected on the finance report. Now this could be simply an oversight, or a matter of not understanding the requirements of reporting. But one does have to ask the question, if she is unable to oversee her own campaign finances, and the people responsible for them, can she be trusted to oversee billions of dollars of investments with tax payers money? I have been told by people who have been doing this political thing much longer than me, that the voters don’t vote for the most experienced, or qualified person in the race, but shouldn’t they? I was told that far too often they vote for the person with the catchy phrases, or the name recognition, but should they? 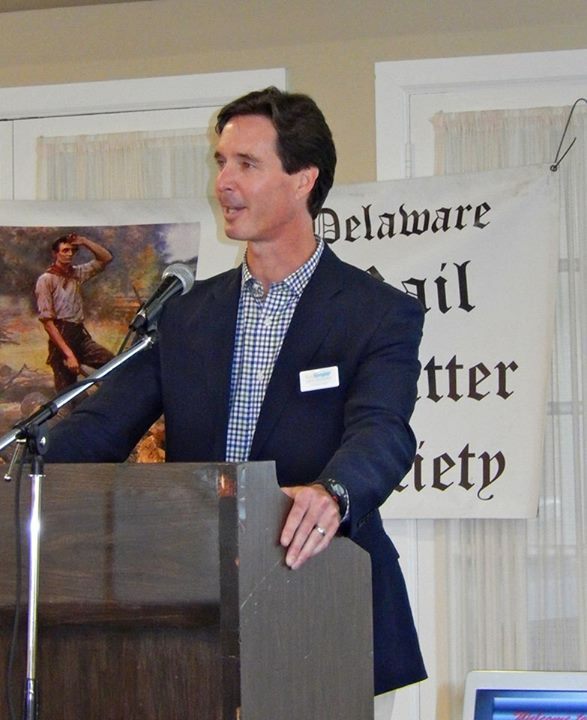 I say it is time that the people of Delaware stand up, and say we want the best person for the job. We want a finance person for a finance job. We don’t want just more empty rhetoric and promises. We want results, and we want accountability. In my view in the race for the Treasurer of the state of Delaware, Ken Simpler is not only the most qualified person for the job, he is the only qualified person for the job. 16 Comments on "Should Experience Matter?" First of all, experience should matter, and competence should matter more to Republicans now than ever. We need to be the party that does the right things, and does them the best way, not the party that throws crap against the wall to see what sticks. Second, Sher Valenzuela would be getting more traction if a) She was actually a conservative, and not a hypocrite on fiscal and social issues; b) she’d gotten into the race earlier and with less negativity; and c) Ken Simpler wasn’t such a good, hardworking candidate. It’s important also to recognize the limitations of the office. Let’s be honest. Simpler won’t have free reign to invest the portfolio however he chooses. But that doesn’t diminish the experience argument at all. He will have day-to-day oversight of the people managing the portfolio, and he will be a prominent voice on the Cash Management Policy Board when the investment decisions are made. The experience matters in that office every day. So Republican voters have the best of both worlds — a candidate who is the most experienced, and who also has consistently lived both his personal and professional life with conservative values. Yes, experience matters, which is why Simpler will easily win the primary- unless Socialist-Democrats are allowed to vote in the primary. Are they? Mrs. Valenzuela might have received a cool reception at Lame Duck sessions of the dying SCGOP meetings but she received a very warm reception at the Delaware 9-12 Patriots “Candidates Night,” meeting, where some republican candidates didn’t have the good grace to show. But I noticed that you Frank and your” Whoremaster in Charge,” Steve Grossman were there but found nothing worth picking apart. I forgot- what are her qualifications? For Instance, there was nothing there to pick apart in particular, becaue she offered nothing new, except she came with props. why am I not surprised that the 9/12ers would be against the most qualified person. I was at the 9/12 event and I was pretty shocked that it was this late in the campaign and she still couldn’t speak without written notes. Somebody there told me that when she did the WDEL debate with Simpler, she had a binder with colored tabs and she read everything she said that night. Who do they want us to vote for here, Sher Valenzuela or her high-priced consultant? And Simpler did great at the 9/12 event. Most of the people I talked to after just assume that he’s going to win. I noticed that in the 20th District race, Ayotte was the only one that registered to speak to the people. Oh, BTW Smyk made a late appearance and when Ayotte spoke, he was right on target taking Smyk to the cleaners. I wrote it down. He said, “I don’t have to attack my opponent all I have to do is quote him. He said that Smyk went on WGMD and said that would like to double traffic fines and put red light cameras at every major traffic light, but the best was when he quoted Smyk LOL. “We will always have the poor, we have the poor now and they are a CANCER on our economy. I was laughing when Smyk’s head was hanging on the table. He destroyed Smyk and that’s the reason I’m voting for Don Ayotte for Representative. Smyk asked Karen Gritton if he could speak to defend himself. The best he could come up with while he paced the floor was. You have to vote for me because I’m a republican. There was silence in the room. Not, Don Ayotte, are you? Among Valuenzuela’s many problems to me is the footsie she played in 2012 with Alex Pires when the party had a well qualified candidate. Fraid not big boy but I talked to him at the event and offered to work on his campaign. Then it shouldn’t be too hard to pick you out in that picayune collective. Both candidates are articulate, intelligent and superior, dedicated campaigners. The polity in our state and our counties pays close attention; the ‘typical voter’ does not. No matter what analysis is presented now, it seems clear that most voters, even most GOP voters in the primary, won’t be looking at their C.V.s, their history, or even their positions. Simpler looks like an attorney and investment executive and he speaks the part, too. Valenzuela looks, acts and speaks like a conservative business owner and has the voice of a “heavyweight.” Beyond that, there’s no question that attractive females have an advantage in life. Males with “leadership looks” seem to have an advantage in politics. Simpler cannot point to any clear, unmistakable conservative bona fides; Valenzuela can. How much political capital does each one have? Only the voters can anser that question. But this will be a very interesting contest. Dr. Bowman, I would be interested to hear what you consider Mrs. Valenzuela’s “conservative bonifides” to be. I believe your breakdown of the race is fairly accurate otherwise. Other than starting a business using “state resources”, and being successful in running it based on government contracts, not sure what her conservative history consist of. Let’s be honest. Valenzuela has admittedly had multiple marriages and an abortion. She built her business on no-bid government contracts, taxpayer-backed loans and state grants, and then went around training other businesses on how to “Get Your$” from the government. She proudly campaigned with a wild-eyed liberal, Al Pires, in 2012. There is nothing truly conservative about her actions, only her words. She’s counting on low-information voters not questioning the BS she spits. Simpler has had one marriage, three kids with no abortions, and has never taken a dollar from the government while successfully practicing the most free-market economics in the world. He may not talk the talk, but he walks the walk. And that should matter more. I have never seen any indication that Sher Valenzuela is a “conservative” in any way. Squeezing money out of taxpayers every way possible to line your own pockets is patently liberal. The reason Sher can turn down a state paycheck is because she’s been profiting off of taxpayer money funding her business for over a decade. The City of Milford was paying her electricity bills. Wake up people! And her turning down the paycheck doesn’t save tax payers anything. The state is required by law to pay her, even if she donates it to charity, and then take that deduction of course.